We took the kids out to see the lights in town tonight, hitting the usual spots. 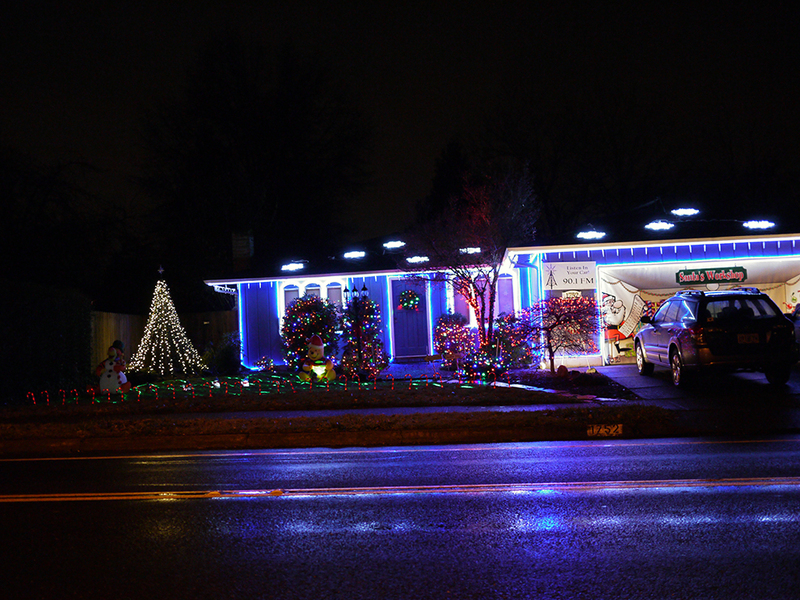 The image is of a house that has their lights synchronized to music that is being broadcast on a lower-band FM station (90.1 in this case). It’s a pretty neat set-up and makes me want to try something similar sometime . . . kind of. Yesterday afternoon we took the kids to the play A Christmas Carol that was put on by the Oregon Contemporary Theatre. It was a great production in a small, intimate setting. It brought me to tears at the end.